A Wedge pillow is the best solution in solving health problems such as acid reflux, snoring, respiratory problems, back pain, and sleep apnea among others. Also, doctors recommend them to those as well who are recovering from surgery. Wedge pillows have a unique triangular design that elevates your legs and provides relief from back pain. On the other hand, if tucked under the head, you can read a book or watch a TV. Also, they keep the acid from coming up the throat and improves your breathing too. What is a wedge pillow and how does it help acid reflux and snoring? Wedge pillows provide comfort: A wedge pillow allows you to relax as you do other activities such as reading or when you are watching TV. It ensures that your back and neck are relaxed. Wedge pillows can be used in different positions: Apart from using them on your back, they can also be used on your legs and knees. They are lightweight which makes them easy to carry. Upright recline: Do you enjoy streaming movies or reading? You can place a wedge pillow on your mattress. It allows you to stay upright especially when you are watching movies or reading for long hours. Apart from that, it gives you warmth and comfort, unlike the wall or headboard. You can use it anywhere: One of the best things with a wedge pillow is that it can be used anywhere for example, on the couch, in a tent or on your bed or anywhere else due to their compact size. They are also available in different sizes. Prevents acid reflux: The elevated position prevents stomach acid to rise towards the esophagus or throat when you are sleeping. A wedge pillow ensures you are comfortable throughout the night. Support for side sleepers: There are wedge pillows which are designed just for side sleepers. These pillows ensure that your head and shoulders are supported when you are asleep. Unlike other wedge pillows, these are contoured and a bit longer to give you comfort. Improves Blood circulation: Best wedge pillows ensure that blood flows well especially when placed under your knees. Relieves neck, hip, and lower back pain: Wedge pillow provides the necessary support and ensure that your neck and head are well aligned. For more specialized options, check best pillow for neck pain and best pillow for tailbone pain. To know more benefits of a wedge pillow check this, this and this article. What is a wedge pillow and how does it help acid reflux, snoring, back pain? Wedge pillows are triangular, unlike the ordinary pillows. These pillows are very useful for anyone who suffers from acid reflux, snoring and any breathing problem because they provide a proper elevation. Wedge pillows are lightweight and help to elevate your head, torso, and shoulders to give you comfort. They come in different sizes to suit your preferences. 1) Basically, a wedge pillow works by elevating the upper body so that the acid in the stomach cannot flow upward and remains inside the stomach. Thus, it improves the conditions like acid reflux, GERD, heartburn etc. 2) As a wedge pillow elevates the upper body, it brings the entire airway in a straight line, thus, improves snoring. 3) It distributes the body weight evenly and relieves pressure off your spine. So if back pain is giving you a hard time, a wedge pillow is your friend. Firmness & Material: Wedge pillows are available both as soft and firm. If you are looking for a pillow that can protect your neck, look for one that is firm enough to provide comfort. The material should also be hypoallergenic to protect your skin. The cover should be removable for cleaning purposes. Size & Purpose: You will find that wedge pillows are of different sizes. For a small or single bed, you can consider a single wedge pillow. For king and queen size beds, you should look for a bigger wedge pillow which can fit your bed. If you are searching for a pillow just for sleeping, you can go for one with a less gradient, but if you want it for reading, you need one with a higher slope. Durability & Cost: Most of the quality wedge pillows are expensive but when buying, ensure you get a long lasting pillow. 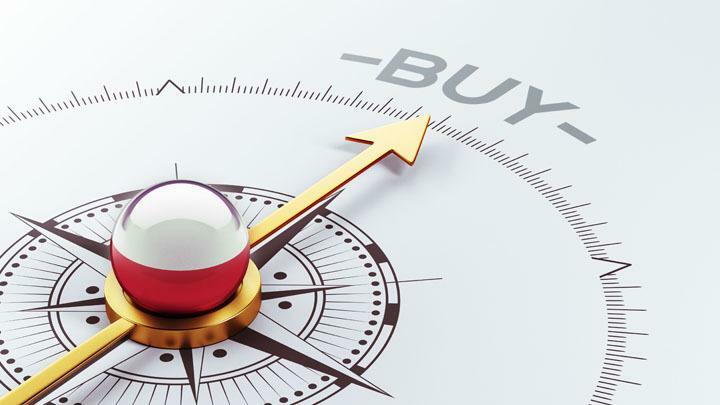 It is better to buy a costly pillow which is durable than a cheap one which will not last for long. Most of the cheap pillows may not be very comfortable since most of them are made up of low-quality materials. However, you can still find an affordable pillow which is of high quality. Degree of elevation: Make sure that you are not buying a wedge pillow which is too high or too steep for you. Such a pillow would be very uncomfortable for you. Again, if it has a very steep inclination, the chances are that it will not help you to relieve acid reflux. Sleeping style & Inclination: People sleep in different ways. If you are one of those who sleeps on your back, you need to look for a soft wedge pillow that will support your back. Those who sleep on the side should look for a thin and firm wedge pillow. A pillow with very high inclination may cause sleeping problems. A good wedge pillow should incline 30-45 degrees. Nonslip: Buying a wedge pillow is a great idea but when buying, ensure the material you select is non-slip. Some materials are very slippery, and you may not be comfortable if you are using such a pillow. Pillows with less slope are highly recommended. If you consider buying one with a high gradient, it is good to look for a pillowcase which prevents you from slipping down when you are asleep. Warranty & Refund: A quality wedge pillow should come with a warranty so that in case you are not happy with the product, you can take it back or get a refund after purchase. There are numerous varieties of wedge pillows available in the market, and we have listed the detailed information of 6 of the best pillows that would certainly help you in your selection for one. This one is a wide pillow which greatly helps to reduce acid reflux and snoring. It measures 25 X 24 X 12 inches and comes with a washable cover. It is well inclined to open up the airways which also boosts blood circulation. Apart from that, it helps to relieve back and neck pain. It consists of two layers. The top layer contains thick foam which is 1.5 inches thick while the bottom part has a base foam layer to provide support and comfort. Each layer contains inbuilt air channels which help in circulation of air within the pillow. The wedge design assists in opening the air passageways when used to incline your back. It is an excellent choice for those suffering from breathing problems, acid reflux, poor circulation, snoring, neck and back pain. Best for people with snoring and breathing problems. Users with neck and back pain problems find this pillow a good fit. It comes with a two-layer design to make you comfortable. Most people like it because it is firm to provide support. Some users complained that it is too sloppy. Brentwood Home Zuma Foam bed wedge pillow is an ideal choice for those with breathing problems and those with health problems such as poor circulation, acid reflux, hiatal hernia, snoring, back and neck problems. It has a gradual slope which supports your legs and the upper part of your body. You can use it also as a trunk stabilizer when sleeping on your side. The pillow is made from hypoallergic CertiPUR-US Certified foam, mercury, formaldehyde TCEP flame-retardants, lead, PBDEs and does not contain ozone depleters. It comes in two different sizes measuring 10 and 12 inches. The best thing with this pillow is that it is very comfortable and firm. It provides good support and has a nice elevation. It is a great pillow for those who love reading in bed. It is useful for people with bronchitis as it prevents coughing. The cover is easy to remove which makes it easy to clean. The angle may lead to sliding when you are asleep. Some users say it’s too firm and uncomfortable. If you are a side sleeper, this one might not be the best for you. Needs airing since it produces an unpleasant chemical odor. Acid reflux wedge pillow is made of memory foam to give you comfort. The material is hypoallergenic and contains the ISOFresh system which neutralizes odor. This one is highly recommended for those who suffer from acid reflux and heartburn. 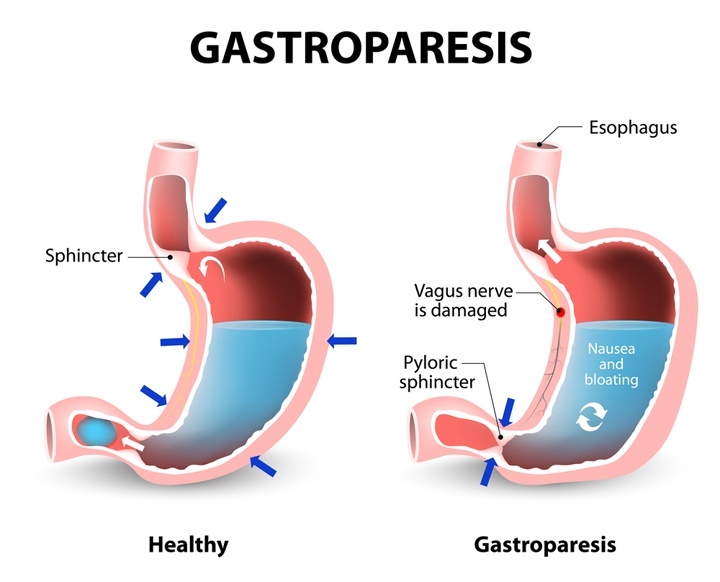 Acid reflux is also referred to as gastrointestinal reflux disease (GERD). It is a condition in which food and acid from your stomach rise up towards the esophagus. When this happens, you are likely to experience heartburn or choking. If you are one of those affected by this problem, you need to look for Acid Reflux Wedge Pillow. It has a beautiful design which lifts your body up to prevent acid from rising up. The design also allows your airways to remain open which makes you comfortable throughout the night. The pillow is large enough to accommodate your torso. One of the best things with this pillow is that it allows you to sleep on your back or on your side without any discomfort. The pillow is too firm, but despite that, most users were happy that it is very comfortable. The cover is made of a hypoallergic material to protect your skin. It is excellent for those with acid reflux and sinus congestion. This pillow can be used vertically to support your back. Allergen covers are purchased separately. Some customers complain that you may require using a small pillow to support your head. Restorology is one of the best companies when it comes to the manufacture of household items. It's wedge pillow is among the top quality pillows you can think about. It measures 17.9 X 7.2 X 7.1 Inches and weights 3.5 pounds. If you are recovering from a leg injury, this is one will be an excellent choice. It provides a perfect height which helps to relieve pain. One of the best things with this pillow is that you can use it for a whole day without hurting your back, neck or leg. It is thick and lasts longer than other pillows. It can maintain its shape even after being used for a long time. Another thing about this pillow is that it comes with a 30 days warranty which means that you can get a refund in case you are not satisfied with the performance. It is made of memory foam which makes it cozy. It comes with silicone pads to prevent it from slipping. It has excellent height for relieving pain. The pillow has a unique angle, and it’s very firm. It is not comfortable for tall people because it is not long enough. Not ideal for people on a tight budget. Some customers complained that it is too hard. This one is another quality pillow which is mostly preferred due to its firm texture which guarantees support. The pillow measures 28 X 24 X 7.5 inches. It is made from top quality memory foam which is able to adapt according to the shape of your body. It is a critical feature as it helps to relieve stress and pain. It has a gradual slope, which allows your muscles and tissues to relax comfortably. Apart from that, the incline helps to prevent all types of respiratory and circulation problems. The wedge also ensures that your body in not in a supine position and the neck, spine, and head are well aligned. It helps to keep ha airways open. It is an ideal choice for side and back sleepers. The best thing with this pillow is that it comes with a 2-year warranty and a satisfaction guarantee of 60 days. It provides the required support and comfort. It comes with a removable cover which makes it easy to maintain. It is suitable for those with back pain problems. It is a great pillow for those with acid reflux. It has an excellent gradual incline to provide comfort. It is not much durable. Some people complain that it produces an unpleasant smell. Hiccapop is a well-known company which produces quality products for pregnant women. Hiccapop pregnancy pillow wedge is an excellent product for pregnant women since it s very comfortable and provides the necessary support. It is made from top quality materials and has a two-sided design to ensure you are always comfortable. One of the sides has a memory foam material while the other side contains safe support foam. If you want to get the maximum support, you can just flip the pillow. Another thing about this pillow is that it sits the natural contours of your body and provides the required support on the belly. It is a good choice if you are searching for a pillow that can help you relieve body pain, back tension, stress among other problems. Unlike others, it comes with a carry bag which makes it easy to move it anywhere without any damage. If you are in need of a long lasting pillow, this lasts for a long time, and it is effortless to clean. It is also an excellent choice for those with knee problems. It provides comfort throughout the night. The cover is straightforward to wash. It does a great job in supporting your belly as well as your back. It lasts long and comes with a bag. Some people complained that the material is not flexible and soft enough. Storage: There are pillows which come with a storage bag which you can also use when carrying them from one place to another. It is good to ensure the pillow is properly stored when it is not in use for it to last longer. It should not get into contact with fluids or dirt. Usage: Ensure you are using it for the right purpose. Some wedge pillows are suitable when placed on your back, under the knees or on your lap. Make sure you are using it for the right purpose. Cleaning: Some wedge pillows come with a removable cover. Make sure you clean them frequently for them to serve you well. A clean pillow enhances circulation of air and prevents bad odor. Wedge pillows are a great investment especially for those with health problems such as acid reflux, respiratory problems, snoring. They are also important to pregnant women or those recovering from surgery. If you have not yet acquired one, you should consider getting any of the above especially if you are an enthusiast reader or you like watching TV for long hours. They can be used by anybody including your kids since they are available in different sizes. You can also them anywhere including on the couch. 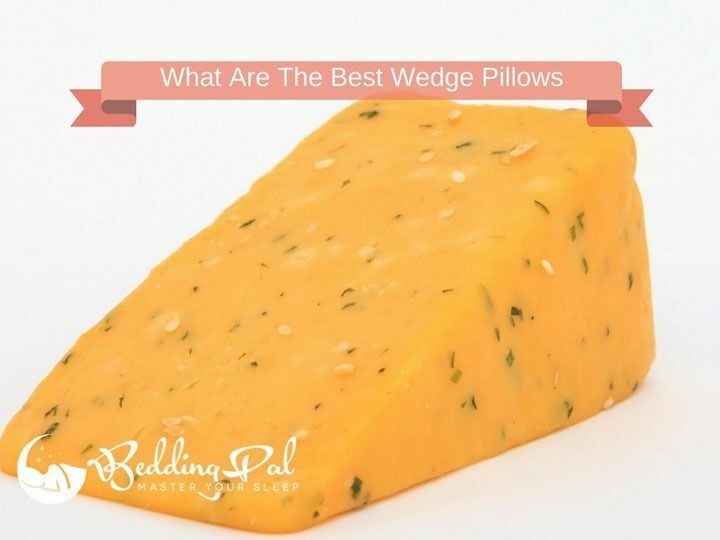 Again, before buying a wedge pillow, it is good to consider some of the factors we have mentioned above to ensure that you are getting the best product.